Recently on Twitter, we were asked to list our favorite chick lit titles featuring women of color. Before we could, however, we had to hash out what exactly “chick lit” was. Thankfully, Wikipedia was there to help us out. But even l found these borders of the genre a bit fuzzy. Are all romances automatically considered chick lit? And why doesn’t light-hearted literary fiction count? Still, I’m not one to back away from a challenge. In the end, I decided to focus on the spirit of chick lit: Uplifting stories in which women face challenges in their careers, families and love lives. They should have a happy end and keep a light tone. Here’s a list of a few of my favorite titles women-centric titles. (Fun discovery: Many of them are on sale at Amazon.) I realize it’s a bit short, but I hope to add to it. I found quite a few new titles just in writing this post. Have a title you want to share? Share it in the comments! 32 Candles, by Ernessa T. Carter. I’m a sucker for an ugly duckling story and this one touches on so many important issues. What really makes it for me is the trope-defying relationships between the women characters. The Brightest Day: A Juneteenth Historical Romance Anthology, by Lena Hart, Kianna Alexander, Piper Huguley and Alyssa Cole. I love historical fiction and I love romances. It’s hard to find books that satisfy both these cravings, so I was estatic when I learned about this one. Each story takes place in a different era of American history from Reconstruction to the Civil Rights Movement. If you end up loving this one as much as I do, be sure to check out For Love & Liberty, which tells four not-often-heard love stories from the Revolutionary War. Diary of an Ugly Duckling, by Karyn Langhorne. Again, love a good ugly duckling story. I can’t think of anything more uplifting and satisfying than following a character as she escapes her own insecurity and fully comes into her own. Tumbling, by Diane McKinney-Whetstone. I read this way back when, but I remember loving it. Noon remains one of the most personally relatable characters I’ve ever met. Forbidden, by Beverly Jenkins. And Indigo, by Beverly Jenkins. And The Taming of Jessi Rose, by Beverly Jenkins. And pretty much any other title by Beverly Jenkins. Nappily Ever After, by Trisha Thomas. Chick lit with a focus on black hair? Sold. The Bollywood Affair, by Sonali Dev. I’ve sought to expand my diverse readings beyond black literature and this was a great pick. It’s engaging, suspenseful and surprisingly funny! 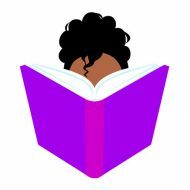 Black Chick Lit examines reading, books and bookish culture from the perspective of two women of color. Find us on twitter at @blackchicklit. I don’t think that I read more high-brow stuff, just that the genre fiction I suggested was all too dark. LOL, maybe I’m too emo — but definitely need to check out more lighthearted books! LOL. Well then, you’re the cynic and I’m the optimist? That doesn’t jibe with my view of self lol. I think we’re both cynics. That’s why we get along so well.